Super Cool Johnson “Prince” For The Day! Super Cool Johnson “Prince” For The Day! Super Cool Johnson “Prince” For The Day! 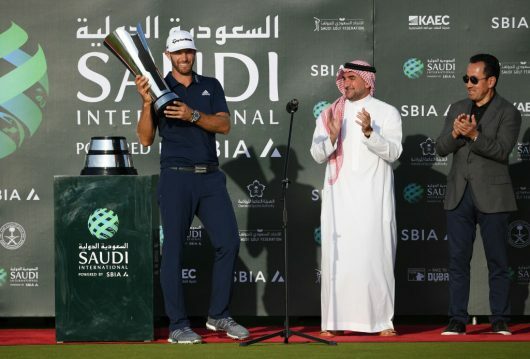 American hot-shot Dustin Johnson (pictured) was crowned as the winner at the inaugural Saudi International after staving off a determined challenge from China’s Li Haotong. The former world number one and currently ranked number three, pulled away from Li towards the later stages of the final round to win by a score of 19-under par, two strokes ahead of Li. This was Johnson’s first major international win and he raked in the winner’s purse worth US$583,330 which does not include a tidy sum that he was paid to appear in the tournament.